After trying to focus on younger players by waiving Antoine Vermette, the Arizona Coyotes have signed Radim Vrbata to a one-year deal. The unrestricted free agent will have a base salary of $1 million, with a number of bonuses piled into the contract. It’s a pretty low-risk signing for the Coyotes, who obviously didn’t want to throw the same green at Vermette and are looking to Vrbata to pile in some goals. The 35-year-old winger is coming off two years with the Vancouver Canucks, where his statistics tanked. Canucks head coach Willie Desjardins had trouble finding a good fit in the lineup and Vrbata was left off the top line with the Sedin twins, causing an even greater dip in metrics. Vrbata had 27 points in 63 games last season, coming up with 13 goals – five of which were on the power play. When he could benefit from quality linemates, he did. 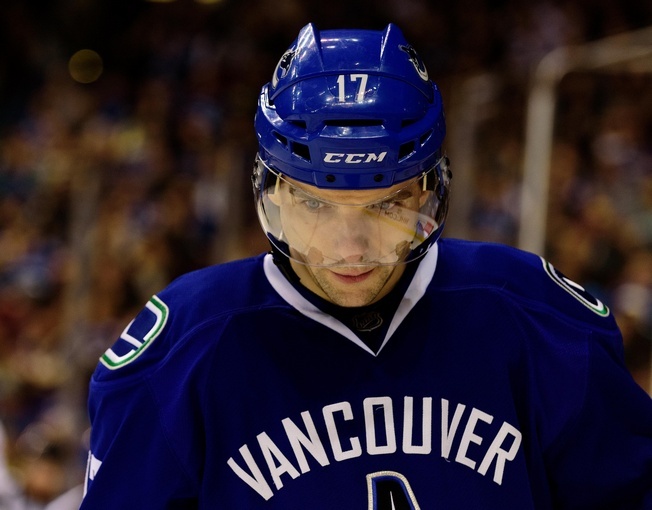 Vrbata probably leaves most Canucks fans with a sour taste in their mouths, but that’s not particularly fair. The truth is that the entire team stunk up the joint in 2015-2016 and Vrbata paid for an unbalanced methodology. He had the highest defensive zone start rate of his entire career last season and had to play to his weaknesses rather than his strengths, with less shots and less scoring chances serving as the inevitable result. He finished a dismal -30, in part because he was paired with young centre Bo Horvat. What this amounts to is the knowledge of how to play a player. Desjardins lost the plot in Vancouver and now it will be up to the Coyotes to put Vrbata in the right position. With analytics guy John Chayka running the show, there’s a fair chance the winger will bounce back. In 934 career games with the Canucks, Coyotes, Tampa Bay Lightning, Chicago Blackhawks, Carolina Hurricanes, and Colorado Avalanche, Vrbata has 554 points. His best season actually came in Vancouver in 2014-2015, when he scored 31 goals and added 32 assists. The evidence suggests that Vrbata is more than capable of filling the net in the latter stages of his career. With a low risk deal and a roster full of young possibilities, Arizona could be just the thing for the Mlada Boleslav native.